In re: A Purported Financing Statement in the District Court of Ramsey County, Minnesota, Camille Bohlke, moving party, Respondent (A07-740), Bradley Parker, moving party, Respondent (A07-742), vs. Kevin E. Giebel, Appellant. Considered and decided by Lansing, Presiding Judge; Ross, Judge; and Johnson, Judge. I. The expedited-review provisions in Minn. Stat. � 545.05 (2006) apply only to security interests or liens covered by Article 9 of the Uniform Commercial Code. II. Article 9 of the Uniform Commercial Code does not apply to attorney liens. Kevin Giebel, the appellant, filed attorney liens seeking payment for work done by his former law partner. On a motion for expedited review of the liens under Minn. Stat. � 545.05 (2006), the district court removed the liens, enjoined Giebel from filing further liens, and ordered Giebel to pay attorneys� fees. Because section 545.05 applies only to liens governed by Article 9 of the Uniform Commercial Code and attorney liens are not governed by Article 9, we reverse. 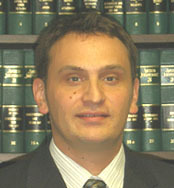 The dispute in this case arose after attorney Mark Gilbert�s 2006 departure from the Giebel, Gilbert, Williams & Kohl law firm. Gilbert represented the respondents, Camille Bohlke and Bradley Parker, before his departure and continued to represent them after his departure. Any and all liability, Uninsured Motorist, Underinsured Motorist or No-Fault settlements, pay-outs, disbursements, proceeds or other recoveries received by debtor and/or his legal [counsel] in the above-referenced matter(s) regarding the above dates of accidents(s), all pursuant to M.S.A. � 481, et seq. Said amounts do not include uncontested no fault payments and benefits voluntarily paid to the insured by the Insurer without any legal fees or costs paid/reimbursed to legal counsel being deducted therefrom. Giebel copied Bohlke and Parker on notices informing their insurers of the liens. In response, Bohlke and Parker�who continue to be represented by Gilbert�filed motions for an expedited review of the financing statements under Minn. Stat. � 545.05 (2006). After holding hearings, the district court applied section 545.05, removed the liens, enjoined Giebel from filing further liens, and granted Bohlke and Parker attorneys� fees. Giebel now appeals. I. Does Minn. Stat. � 545.05 (2006) apply to non-Uniform Commercial Code liens? II. Does Article 9 of the Uniform Commercial Code apply to attorney liens? The district court removed the attorney liens and imposed attorneys� fees under the provisions of Minn. Stat. � 545.05 (2006). Giebel�s appeal of the district court�s order and judgment requires us to determine the scope of section 545.05. This raises an issue of statutory interpretation, which we review de novo. Olmanson v. LeSueur County, 693 N.W.2d 876, 879 (Minn. 2005). Section 545.05 was enacted in 2006. 2006 Minn. Laws. ch. 260, art. 7, � 11, at 807. This is the first appellate decision that addresses the statute. The statute limits �retaliatory filings� of fraudulent liens. Christopher A. Young, Minnesota Has New Weapons in the Fight Against �Paper Terrorism,� 76 Hennepin Law., Sept. 2007, at 17, 18-19. Based on the plain text of the statute, we conclude that section 545.05 applies only to security interests or liens covered by Article 9 of the Uniform Commercial Code (UCC). The statute permits the �owner of collateral described or indicated in a financing statement or other record filed under section 336.9-101 to 336.9-709 (Uniform Commercial Code�Secured Transactions)� to file a motion for judicial review if the owner has reason to believe that �the financing statement or other record is fraudulent or improper.� Minn. Stat. � 545.05, subd. 2. Minnesota has codified Article 9 in the referenced sections, Minn. Stat. �� 336.9-101 to .9-709 (2006). By its express terms, section 545.05 is limited to Article 9 secured transactions and liens. We cannot ignore the legislature�s clear language. See Minn. Stat. � 645.16 (2006) (providing that goal of statutory interpretation is to �ascertain and effectuate the intention of the legislature�). The plain meaning of the language describing section 545.05�s scope is further confirmed by the implausibility of a contrary reading. Under the statute, a lien is fraudulent or improper if it is filed without the obligor�s authorization or consent. Minn. Stat. � 545.05, subd. 1. Unless a very expansive definition of �authorization� is used, all involuntary liens or liens that arise as a matter of law would be fraudulent or improper under the statute and would effectively be eliminated. We conclude that section 545.05 applies only to liens and secured transactions covered by Article 9 of the UCC. Therefore, the district court�s decision was proper only if attorney liens fall within the scope of Article 9. The question of whether attorney liens are covered by Article 9 of the UCC raises an issue of statutory interpretation, which we review de novo. See Olmanson, 693 N.W.2d at 879 (providing that �construction of a statute is a question of law�). For two reasons, we conclude that attorney liens are not covered by Article 9. First, attorney liens are not included within the statutorily defined scope of Article 9. The scope of Article 9 is governed by Minn. Stat. � 336.9-109 (2006). Section 336.9-109 affirmatively lists the liens and security interests governed by Article 9. Minn. Stat. � 336.9-109(a). The article applies to �a transaction, regardless of its form, that creates a security interest in personal property or fixtures by contract� and a variety of other, more specialized, interests. Id. (emphasis added). An attorney lien is not included in the scope of Article 9 because it is not created by contract. Although the fees due an attorney are governed by contract, the right to an attorney lien is not. Instead, an attorney �is deemed to be an equitable assignee of the . . . proceeds to the extent of his interest.� Vill. of New Brighton v. Jamison, 278 N.W.2d 321, 326 (Minn. 1979). 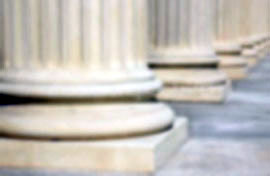 Attorney liens are now governed exclusively by statute. Boline v. Doty, 345 N.W.2d 285, 288 (Minn. App. 1984). By statute, an attorney is given a lien for compensation upon the cause of action, the client�s interest in the property involved in the proceeding, or the judgment. Minn. Stat. � 481.13, subd. 1 (2006). In addition, the legislature has provided a mechanism for establishing and determining the amount of the lien. Minn. Stat. � 481.13, subd. 1(c) (2006). Because an attorney lien is created by statute and not by contract, Article 9 does not apply to attorney liens. Second, attorney liens fall under an exclusion from Article 9. Article 9 does not apply to �a lien, other than an agricultural lien, given by statute or other rule of law for services or materials, but section 336.9-333 applies with respect to priority of the lien.� Minn. Stat. � 336.9-109(d)(2) (emphasis added). Because attorney liens are created by statute, attorney liens are exempted from Article 9. Therefore, because section 545.05 applies only to security interests or liens covered by Article 9 of the Uniform Commercial Code, section 545.05 cannot be used to challenge the validity of attorney liens. Accordingly, the district court�s judgment is reversed. It is important to note that our decision is narrow. We do not decide in this case whether Giebel is actually entitled to the attorney lien in question. Our conclusion is only that the expedited-review provisions in section 545.05 cannot be used to answer the question. If Bohlke and Parker choose to present a challenge to the liens, they must do so through some other procedure, such as a declaratory-judgment action, or in response to enforcement or collection efforts by Giebel. Inc., 728 N.W.2d 231, 233 n.2 (Minn. 2007) (denying motion to strike as moot when court did not rely on material). Because Minn. Stat. � 545.05 (2006) applies only to liens and security interests covered by Article 9 of the Uniform Commercial Code and attorney liens are not covered by Article 9, we reverse the district court�s application of the statute to attorney liens.